We’ve spoken a lot about using pendulums here at Wishing Moon, even giving you advice on how to get started using a pendulum for a reading. But have you ever considered making your own pendulum? 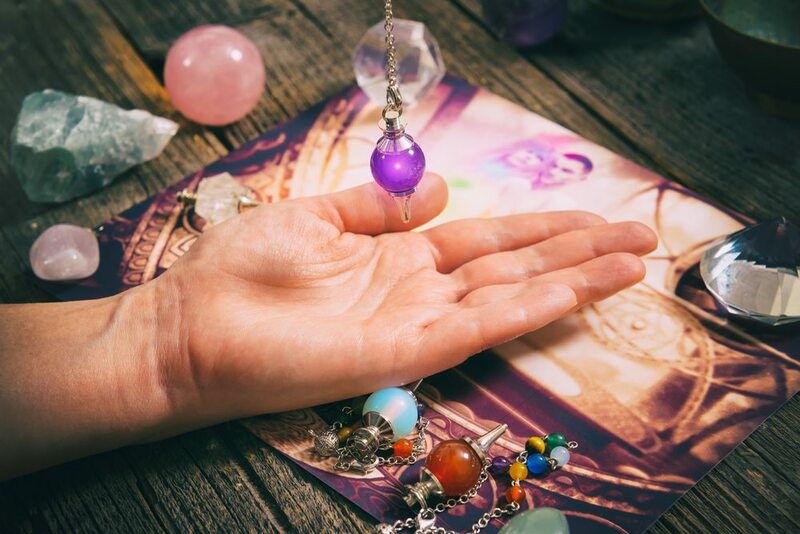 You may think that you can only buy pendulums but many people actually prefer to use their very own pendulum, that they have made, when doing a psychic reading. Some say that you have a stronger connection to a pendulum you have made yourself. And whilst there is no definitive proof that making your own gives you a more accurate reading, it can be a fun task to do and get you in the right mindset for your reading. So on that note, here is how to make your own pendulum for psychic readings. Take a thread or a piece of string that is roughly between 15-20 cm long. Choose your pendulum. A pendulum can be spherical, conical, teardrop shaped or any shape you desire. It can also be any material; ceramic, crystal, wood, brass etc. The best way to approach choosing your pendulum is to let your intuition to all the work. Which one are you drawn to? Which one feels right? Before you use your pendulum you need to cleanse it (If you’re giving readings to other people other than yourself, you need to cleanse it before each separate reading too). You can either leave it on a window sill that gets natural light for 24 hours; place it in soil in a plant pot for 24 hours; run the pendulum under a natural stream; or you can rub it with a cloth that has eucalyptus oil on. Now your brand new pendulum is all ready to use! The more you use your homemade pendulum, the stronger the psychic connection you’ll form. Whilst you may find it a little haphazard at first, you’ll soon settle into a rhythm with your pendulum and can rely on its readings for meditation & healing. Some people continue to use the same pendulum for decades once they’ve formed a bond with it! We hope you find this and our other psychic guides helpful throughout your spiritual journey. Today I got this overwhelming impression that I needed to make a pendulum. Since I already work with crystals I have a lot of materials on hand. I had some copper chain one that is manufactured and one that I made, I took out the manufactured chain with the intention to use it and it disappeared into what I call the ether so I am now guessing this pendulum project is being guided by a higher power. Certain stones just popped into my head too Iolite, rainbow moonstone, clear quartz, labrodite, and a rough Amythesist . Any ideas what any of this means?